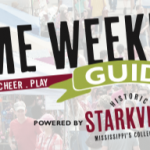 The Starkville Main Street program provides the opportunity for businesses, industries, and individuals to cooperate in preserving the city’s historic downtown area, enhancing its vitality, and making it highly attractive to residents and visitors alike. Members strive to ensure that existing downtown businesses remain successful and that new businesses are attracted to the area. They work together to enhance the appearance of the Main Street area, publicize the shopping and dining opportunities, and plan special events that will draw people to spend time in that part of the city. Starkville Main Street operates with the support of the Mississippi Main Street Association, a joint program of the Mississippi Development Authority and the National Trust for Historic Preservation. The state and national programs assist by providing training, information, and other services. For more information about the Starkville Main Street program, contact Jennifer Gregory at the Greater Starkville Development Partnership at (662) 323-3322.